At first, we would like to welcome you to Stuttgart and we would like to invite you to this newcomers event. This event is exclusively for newcomers to Stuttgart or InterNations Stuttgart, where you can meet new people, network, and make friends! 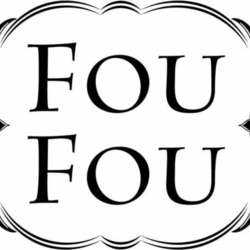 This time we will meet at FouFou bar - a location that is famous for its variety and taste of drinks. With its cozy atmosphere it definitely is a place to explore in Stuttgart. But that’s only one reason why you should join us! You’ll get to know like minded internationals, have funny and interesting chats and simply be having a good time. We recommend you to be on time so you don't miss a moment. FouFou Bar is located in Leonhardstraße 13. You can reach it 5 finutes on foot from the U-Bahn stop "Österreichischer Platz" or 10 minutes from the S-Bahn stop "Stadtmitte". We are excited and looking forward to meeting plenty of you! !